With apologies to Ad Age's Simon Dumenco, who is a little bit skeptical about brand ranking lists, we begin this edition with … a brand ranking list. Not because this list is better than any other list (and there are plenty), but because this one includes a tobacco brand in the top 10. And that caught our eye. Cigarettes are not dead yet, folks. We also have news on a new CMO hire at Mondelez, and Pizza Hut's latest artery-clogging creation. Cigarettes brands have been barred from advertising on TV and radio advertising since 1971 (not counting e-cigarettes). More ad restrictions went in place in 1998 as result of the Master Settlement Agreement. Yet, nearly two decades later, Marlboro is still considered one of the most powerful brands in the U.S. The tobacco marketer places 10th in the new "BrandZ Top 100 Most Valuable U.S. Brands" report by WPP and Kantar Millward Brown. This is the first U.S.-only Brand Z ranking. Not surprisingly, tech giants dominate the top 10. Google outranks Apple, followed by Amazon and Microsoft. 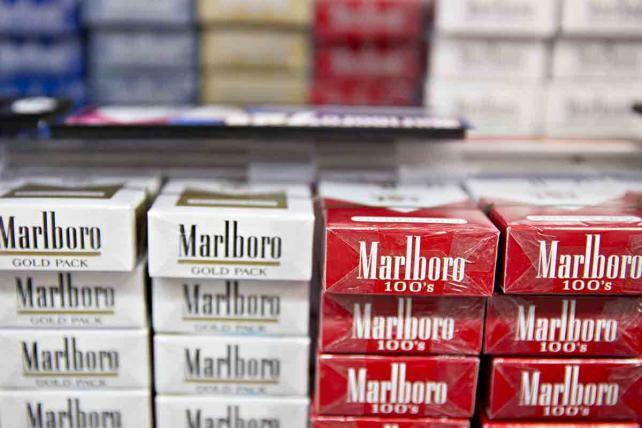 Marlboro is ahead of brands such as Coca-Cola (12), Starbucks (18), Nike (22), Budweiser (24) and Walmart (26). The rankings blend brand equity scores based on consumer interviews with an analysis of financial performance. In the case of Marlboro, marketing an addictive product is one way to gain loyalty. In case you haven't heard, Dale Earnhardt Jr. will drive in his final race this weekend. And a couple of his biggest sponsors are seizing on the moment. Because what would a sports star retirement be without ads? Mtn Dew got ESPN's Kenny Mayne to star in this spoof interview with Earnhardt and his mythical replacement, Dewey Ryder, played by actor Danny McBride. Golin handled the video. Budweiser took a more emotional approach with this video by VaynerMedia. A 30-second version will air during NBC's coverage of Sunday's Nascar race at Homestead-Miami Speedway. Bud will also re-air this spot from 2003. Billie, a female-focused subscription service for razors and body products, debuted Tuesday. "Think Dollar Shave Club, but better," read the company's description. Based on the assumption that women's razors and other grooming products are priced higher with a so-called "pink tax," the startup boasts what it calls lower prices—the first order of two blades, handle and holder is $9. Also: one of the co-founders, Jason Bravman, is brother to Rachel Blumenthal, who founded children's apparel subscription service Rockets of Awesome and is married to Neil Blumenthal, who co-founded Warby Parker. Tax man cometh ... for advertisers? The Association of National Advertisers is nervous about a new legislative proposal that would eliminate the advertising cost deduction for pharmaceutical companies. Sen. Claire McCaskill, D-Mo., "suddenly and unexpectedly" put the amendment in tax legislation, the ANA stated on its blog. The ANA is fighting the amendment, which it says "faces serious First Amendment challenges as it threatens the commercial speech rights of companies to reach their consumers in a truthful way." 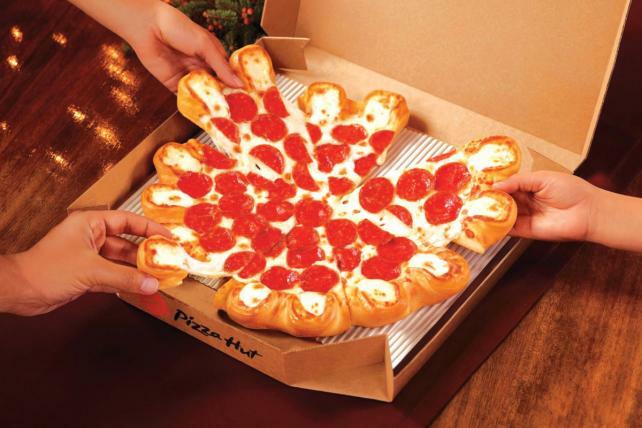 Pizza Hut's Ultimate Cheesy Crust Pizza, featuring 16 "pockets" stuffed with mozzarella, provolone, white cheddar, asiago and fontina cheeses, was introduced with what's possibly the cheesiest press release ever. Pun fully intended. -7.8 percent: The sales decline of Bud Light in four weeks, Beer Marketer's Insights reports citing Morgan Stanley/Nielsen. Ouch. Budweiser is not doing much better with a 7.4% decline. Anheuser-Busch InBev this week tapped a new North American CEO, Michel Doukeris, who obviously has his work cut out for him. Mondelez International named Jason Levine regional CMO for the North America business, a new role, effective Dec 1. He was previously VP marketing over biscuits in North America. Jaguar Land Rover named Felix Bräutigam as its chief marketing officer. The former VP of Porsche in Europe replaces Gerd Mäuser, who is retiring.